My name is Shawn R. Gray and I was the Managing editor for the Spring 2016 issue of Nevermore. I was born in Lebanon, NH and I currently reside in Bradford, VT. 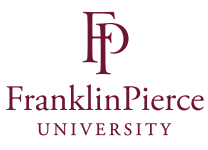 I am currently a Junior at the Rindge NH Franklin Pierce University campus and my major is in Criminal Justice and my minors are in English and Sociology. Being the Managing editor for a Nevermore issue, although a challenge, was definitely a honor. Nevermore is solely based on original student submitted work and releases twice a year. It accepts a range of work including artwork, poetry, fiction and non-fiction. The issue I personally had a hand in contains 14 poems, two pieces of artwork and two short stories.